The world has officially gone pumpkin spice crazy. Peeps recently announced it was releasing an autumnal-flavored version of its famous marshmallow snacks and Kellogg’s Frosted Mini Wheats unveiled a limited-edition pumpkin spice cereal. Now, M&M’s is getting in on the fun with the release of pumpkin spice latte-flavored M&M’s. 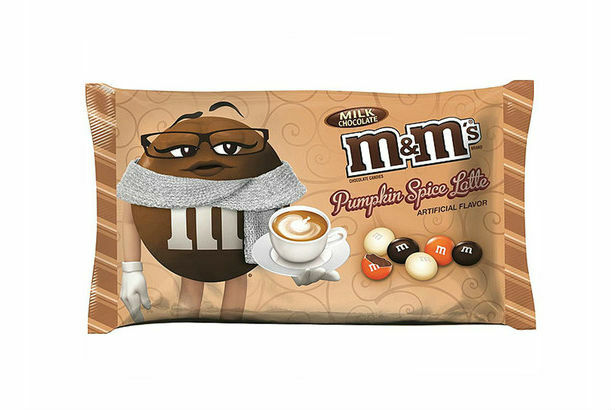 According to E!, M&M’s has dropped pumpkin spice versions of the candy before, but this one seems to also be latte flavored, so we’re expecting a lot of chocolatey, coffee pumpkin goodness. Don’t get us wrong – these new M&M’s sound insanely delicious. Still, we can’t help but feel a little pumpkin spiced-out. So many food and drink companies have hopped onto the pumpkin spice train that it’s getting hard to keep up. Also, a little redundant. But hey, folks love artificial pumpkin and nutmeg flavors, so why not give the people what they want? Pumpkin spice is here to stay – no matter how much fatigue we might have. So for those of you who can’t get enough of the flavor, below are some pumpkin spice products you can add to your pantry this fall.